A two component high solids aluminium pigmented polyamine cured modified epoxy primer. Highways Item 115. PPG SigmaCover 690 Aluprimer is a 2 pack self priming epoxy paint that can be used with most aged coatings offers good adhesion properties and can be recoated with any epoxy or polyurethane coatings. SigmaCover 690 Aluprimer SigmaCover 690 Highways Item 115 is a two component product made up of high solid aluminium pigments and based on polyamide cured resins suitable for priming and coating a variety of metals, in particular, prepared steel. SigmaCover 690 Aluprimer is a self priming product that can be used with most aged coatings with good adhesion properties and can be recoated with any epoxy and polyurethane coatings if you require a more decorative finish. SigmaCover 690 Aluprimer is a available in dark and light aluminium semi-gloss that can be used to create an aesthetically pleasing finish on steel substrates. Highways Item 115. SigmaCover 690 Aluprimer can be applied using brush, roller or spray once the two components have been mixed together and offers users a theoretical coverage rate of 7-12m2. After 4 hours the surface will be touch dry and ready for a recoat after 12 hours. SigmaCover 690 Aluprimer can be used in a wide range of different environments to offer excellent impact and abrasion resistance, making it highly suitable in industrial and construction environments. SigmaCover 690 Aluprimer can be used in environments with low temperatures, however if temperatures are likely to drop below freezing then a wintergrade type is available on special request. LuL APR No. 1153 - M27.4 (XM92) Coating System for Maintenance Steel, for application to steel previously coated with bitumen to provide a minimum expected service life of 25 years. LuL APR No. 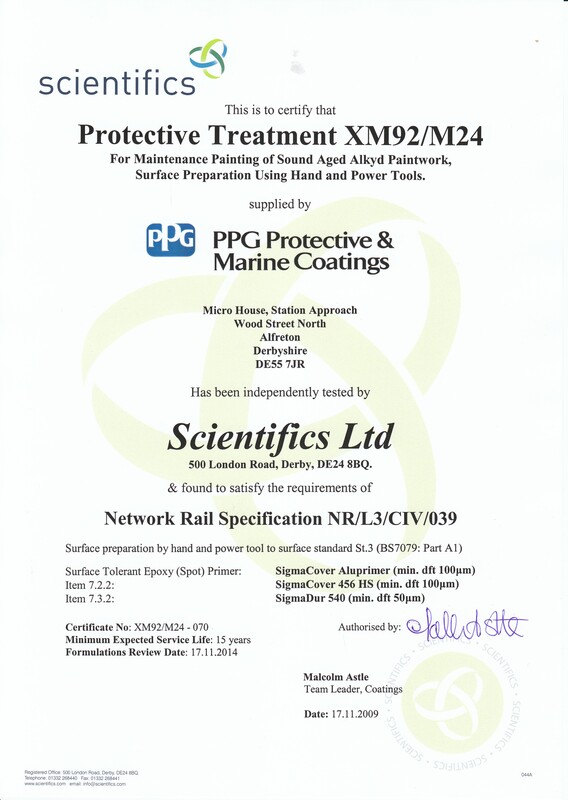 1151 - XM92/M24 Coating System for Maintenance Steel for application to bridges and structures to provide a minimum expected service life of 25 years when spot blast cleaned to Sa 2½ or 15 years when power tool cleaned to St 3. This paint system consists of an epoxy primer (SigmaCover 690), an epoxy buildcoat (SigmaCover 456 HS) and a finish coat which may be either a polyurethane gloss (SigmaDur 550), a polyurethane semi-gloss (SigmaDur 520) or an epoxy acrylic gloss (SigmaDur 540). A 2 pack high build semigloss aliphatic acrylic polyurethane finish, Highways Approved Item No.169. 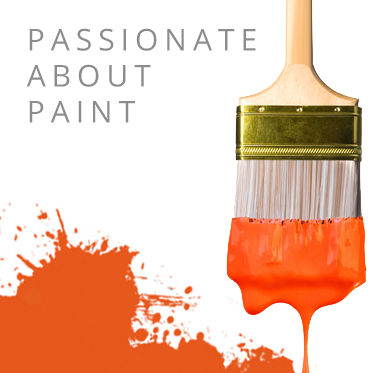 Thinner 91-92 is a clear, thinning product specially designed for use with various different PPG Sigma paints.